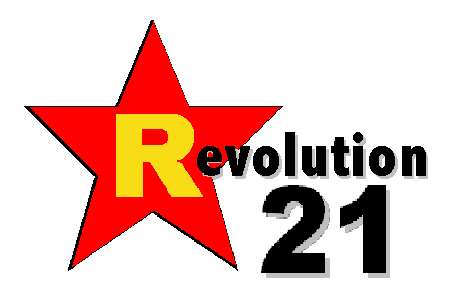 Revolution 21's Blog for the People: The road to hell passes through D.C. So . . . the Obama Administration is trying to force every Catholic institution outside the clerical structure itself to insure contraceptive practices Catholic doctrine regards as intrinsically evil -- as mortal sin. Well, that clarifies what contemporary Democrats regard as inalienable human rights -- as of this moment, I think the list has been whittled to "consequence-free f***ing" (of which the right to kill one's unborn child is a subset) and . . . no, that's about it. The latest proclamation by the odious secretary of Health and Human Services, Kathleen Sebelius, pretty much declares the First Amendment -- particularly the Establishment Clause -- null and void. That this moral cypher calls herself a Catholic makes her action all the more disgusting, and that she technically still is one is a matter that ought to be addressed immediately by her bishop. That said, there's nothing more I can add that possibly could top what Michael Sean Winters wrote in the National Catholic Reporter. So I'll merely say "What he said." CATHOLICS in this country -- and Catholic institutions in this country -- should have but two words for any civil authority, left-wing or right, that seeks to compel them to violate their consciences or the teaching of their church: "Non servium." If America is hell-bent on going to the devil, the only thing we can do anymore is not to tag along.